Legacy Learning Systems was founded to produce truly comprehensive multimedia training courses for those who want serious instruction in the comfort of their own homes. Learn and Master Serials: Guitar, Piano, Painting, Drums, Ballroom Dance, Blues Guitar, Bass Guitar, Guitar Set-up. How much courses has Legacy Learning Systems published? The first product of Legacy Learning Systems is Learn & Master Guitar, created by Steve Krenz. It made a good impression on me, being high-quality and high-effective. It’s the best home study DVD course for guitar I have ever seen on the market. Then Legacy Learning Systems released Learn & Master Piano, Learn & Master Drums, Learn & Master Ballroom Dance, and Learn & Master Painting in succession in the past 2 years. Learn & Master Painting is the latest one, released about 5 months ago. Recently, Legacy Learning Systmes released their Learn And Master Spotlight Serials: Blues Guitar and Guitar Setup. You can read my reviews of this two course at: Learn And Master Blues Guitar Review, and Learn And Master Guitar Setup Review. How are Learn And Master DVD courses? All the Learn & Master Courses are extremely thorough and planed out, all you provide is the practice. Everything you need to know is laid out in one course, step-by-step and easy to follow, start to finish. Important: All the Learn & Master courses come with a 60 Day No Question Asked Guarantee. If you are not satisfactory with your course, simply return the course within sixty days for a full refund of the purchase price. * Legacy Learning Systems has started their special sale(limited time only), you can get 40% off right now. 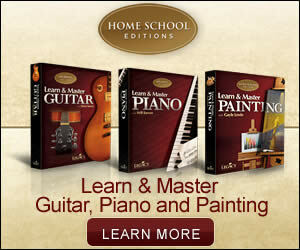 * Learn & Master Courses are available online only at the moment, meaning you can only order them through the internet. And their official site( LearnAndMaster ) is the only place where you can order the courses. Then you’ll wait for days for the delivery of the DVDs. * Live outside the United States? No problem! Learn & Master ships internationally every day and have become very proficient at it. In most cases, it only takes a few extra days for delivery. You get the same sixty-day, no-questions-asked, money-back guarantee as their U.S. customers, the same great service, and the same great guitar training.